Curtains are your traditional and common choice for windows. There are various fabric options, not just in colour, texture and pattern but also with thermal or blackout lining with material. Commonly you select either full length drapes or drapes that are a similar length to your window. Full length drapes give a elegant look but will also be your most effective insulation option. Shorter curtains can be used in rooms where there will be furniture underneath, Roman Blinds are also another good option in this type of scenario. Finally you can customize your heading type for your curtain, selection from single, inverted, pencil, french or dutch pleat. Roman Blinds are a great option if you want soft fabric but a blind function. Here you can select the material, control options, flat or layered stacking and where the pin tuck is located. Roller Blinds are available in sunscreen, light filtering and blockout fabric options. They fit inside the reveal for a modern contemporary look to the room. You can also pair a sunscreen and blockout fabric on a double bracket to offer UV and block out functionality. You can operate your blinds by a remote control or even easier on your mobile just with a swipe of your finger. Automation is available for as little as $99, a Guthrie Bowron consultant will be able to talk through with you which solutions best suit you. Wood Venetian Blinds are a great option for kitchens and living spaces and offer a number of functions, UV control, privacy and room darkening when fully closed. They come in a wide colour range and a 50mm and 60mm slat width. Vertical blinds are a common blind for doors and side opening windows, especially in offices. You have a variety of fabrics and colours to choose from. Shutters offer durability with a wide range of customisable options, so they are great for doorways or windows that are not a standard shape or size. There are various colours, hinge options, louvre sizes and styles of tilt rod to select from that will work with the design of your house. 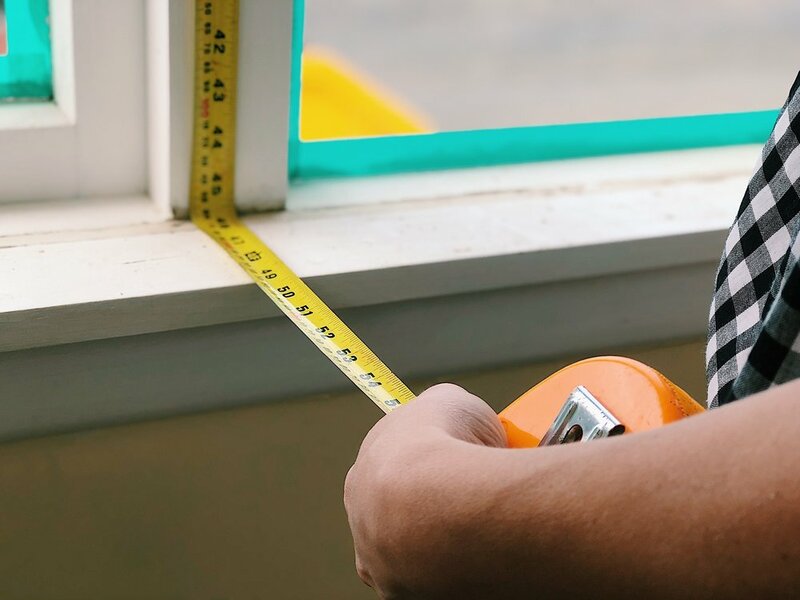 Guthrie Bowron offer a free in-home measure and quote service to get you started with your window furnishing. Once you have your measurements and a price indication you can go into Guthrie Bowron to select your customised window furnishings from the many different options available. Happy curtain and blind selecting! Posted on January 18, 2018 by Alice Pearson.